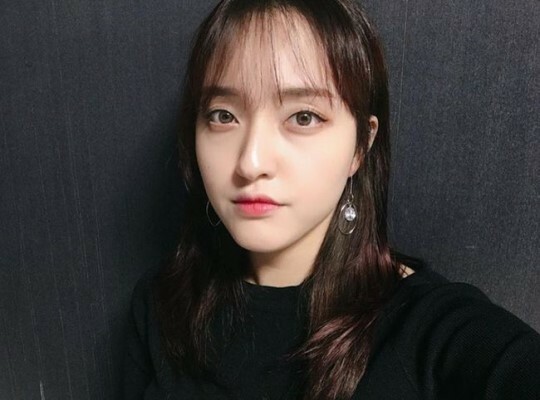 Late actor Jo Min-ki’s daughter Cho Youn-Kyoung has refuted a recent media report that her debut was called off after her father was accused of sexually attacking students. A news-entertainment show reported Friday that Cho had been set to sign a deal with a talent agency two weeks before her father was accused of sexually harassing students, which emerged as part of the #MeToo movement here. The report said that Cho’s debut had to be called off. On Sunday, Cho addressed the report via a social media account, which marked her first public remarks since her father was accused of sexual misconduct in February. Her account with more than 110,000 followers had been switched to private. “I suddenly became a would-be entertainer. My dream is to make cosmetics. I wanted to study to make cosmetics that can even cure illnesses related to skin,” Cho wrote. She majored in chemical engineering at University of Illinois at Urbana-Champaign. “But due to an apocryphal story, I became a person who wanted to be on TV (but had her wish) killed off,” Cho added. She went on to explain how she had wanted to start a video blog regarding her upcoming graduate studies at Princeton University, and contacted some agencies about receiving technical help. But feeling that she should be more prepared, she changed her mind. At the end of the post, Cho apologized to the people who would be mentioned and hurt again due to renewed attention from her post. Cho became widely known to the public while starring in SBS entertainment show “Please Take Care of My Father” with Jo in 2015. The actor died by suicide in March, after admitting to charges against him. He was accused of sexually harassing female students he taught at Cheongju University.